Although they found themselves five points down at half-time when there looked like being some margin between the teams, an impressive second half from Fergus McMahon’s London saw them come within a solitary point of Derry. Derry manager Tom McLean would certainly have been relieved at the final whistle given how far the momentum had swung in favour of the home team. Just like against Carlow at Ruislip the week before, London won the second half here and if they were able to just produce more of this type of performance from the first whistle, the results will surely come. 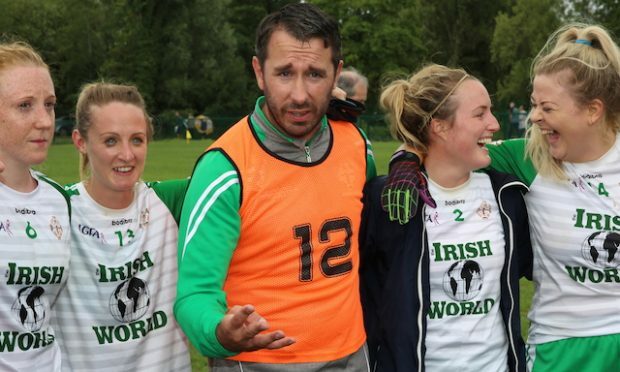 The London manager is still expecting the return of Kilburn Gaels players like Stephen Lambert and Keith Killilea who will greatly strengthen the Exiles’ arsenal in attack. Goal scorer Martin Duggan of Kilburn was outstanding in the London attack. London trailed by eight points, due mainly to the free taking and other scores of Ruairi Convery, when they received a boost. Luke Hands’ sideline cut found it’s way to Martin Duggan and the Kilburn Gaels forward put his head down, charged through the Derry defence and found the back of the net with his powerful shot. Again, the referee consulted the umpires but found no reason not to award the goal, despite the protests of the Derry defence. Duggan’s goal kept London in the contest although five points down at the break, 1-1 to 0-9, it was very much Derry’s to lose but McMahon’s team would be assisted by a firm breeze in the second period. It was Duggan that won the ball in the air from a puck out and passed to the freshly introduced sub Eoin Chawke. With the Derry defence giving Chawke nowhere to go, the London forward went backwards to Tadhg Healy for a London score that brought their tally to 1-4 and now just three points behind the leaders. Derry seemed to have lost momentum. The scores had very much dried up with only one in the second period and also a poor return late in the first. However, hopes of an impressive London revival were dealt a severe blow as the game approached the 60 minute mark. 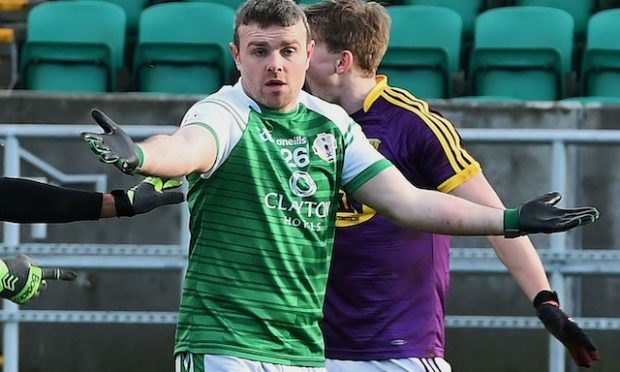 Liam Og Hinphey of Derry latched onto his team’s sideline ball and found the back of the net. It was very much like Duggan’s strike in the way it came indirectly from the cut. London argued it was their side line in the first place which made it even crueller. 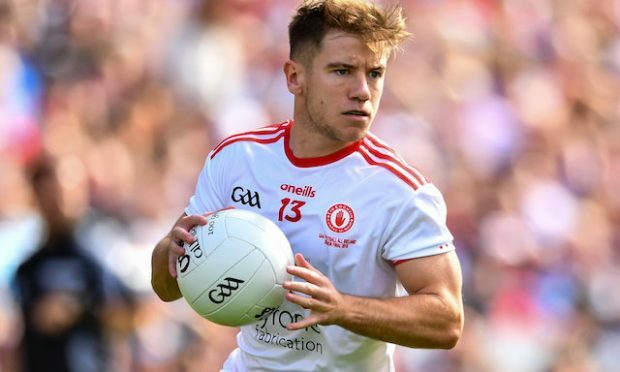 A late London attack saw substitute Danny Connolly win possession and running away from goal, Connolly was able to steer it over the bar with a shot he hit over his own shoulder. With just a point in it and the momentum very much with London, it was just a question of whether there was time left for that equalising score. Peter Phelan’s late effort flew agonisingly wide and there would not be any more time. Derry displayed relief rather than joy to hear the final whistle while London were understandably dejected to have come so close and still lose out. This was a good performance by London and had they come out of the blocks like they were able to play the second half, Fergus McMahon and his team would have points on the board. London’s impressive performance was denied the result they deserved by Derry’s goal that had a touch of fortune about it. With only one point in it at the end, you have to recall that Convery point that may have been just wide in the first half. Wicklow present London’s next test and if they can produce the level of performance Greenford saw in this second period, they should come away from Arklow with their first win of the campaign. For the full match report, see the March 7 Irish World.